Consider the factors above when building or analysing your campaign. But don’t worry if you find that your campaign falls on many varying points along the spectrum. This is designed to facilitate discussion around ways to scale participation in your mission—not serve as a list of must-haves. 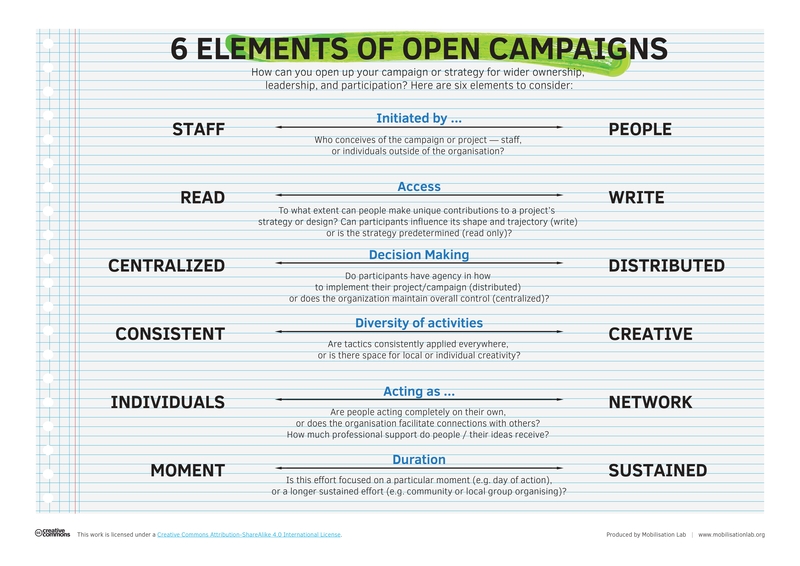 Thanks to the participants of Open Campaigns Camp who collaborated to develop this framework in 2015.